I received this from Bo Sanchez' Truly Rich Club Newsletter. If you really want to become a best selling author, this is your chance. Here's "How To Be A Bestselling Author And Create Strong Income Streams Based On Your Own Book" 4-Day Bestselling Author Intensive Bootcamp on May 15 to 18 in a Tagaytay hotel. How To Be A Bestselling Author And Create Strong Income Streams Based On Your Own Book—Even If You Think You’re A Lousy Writer! "Do you want to write a book? Do you have this burning message you want to share to the world—but have failed sharing it, so far? Are you tired of hearing yourself say, “I’ll finish my book this year!” But for the past 6 consecutive years, you’ve never written beyond page 1? And do you ALSO want to earn money through your book? Yes, I believe you can author a bestselling book. And yes, an authored book can make you RICH. I’m Bo Sanchez. So far, I’ve written 29 bestselling books. Oh, if you knew my background, you would call that an incredible miracle. Because when I was in college, I got big, bloody, flagrant letter “Fs” on top of every essay I gave to my English Prof. And believe me, “F” didn’t stand for “Fantastic” or “Fabulous”. He hated my writing. And I can’t blame him. Because I was a terrible writer. But how did I transform myself from a “worst-writing” author to abestselling author? That’s what I want to share with you. And here’s very important note: I didn’t become a “best-writing” author. I became a bestselling author. The difference is HUGE! I know of a lot of brilliant authors, much wiser than me, who are as poor as a malnourished church rat. But if you follow my exact strategy—you’ll be able to enjoy passive income for many years after you write the book. This is what I love about books: You write only ONCE, but you can keep selling your book every year for a looooong time. I wrote my first bestseller, How To Make Your Life Beautiful, 13 years ago. Yet that same 13-year “ancient” book still sells 3000+ copies every year. Isn’t that cool? Yes, you’re absolutely right. If you DON’T follow my strategies, you can’t do what I do. But that’s my point. Why not follow my strategies? Many authors don’t know this. They think that it’s enough to write their book. And after that, they just sit in their living room, and wait with bated breath for their books to sell like hotcakes. What do you need to do to prevent this from happening? Every Author SHOULD build a Media Machine—an online and offline marketing SYSTEM (predictable, automatic, and powerful) that will push them and their book in front of many people constantly! I can donate my royalties because I’ve built my Money Machines behind my books—and that’s how I earn. These are my businesses. Many authors miss this big time. They rely on earning through book sales and royalties. I repeat: They’re nice to have but they won’t make you rich. You need to build a Money Machine connected to your books. Take your pick: You can build a flourishing speaking career, or a consultancy, or a highly-profitable sales career, or an online membership club, or a seminar company, or an educational program, or ALL OF THE ABOVE. Hey, you don’t have to build a business if you already have an existing business. That’s why I really believe that every Entrepreneur should have an authored book. Why? READ CAREFULLY: So that your customers will look at you no longer just as an Entrepreneur but as an Expert Entrepreneur. Your book adds credibility and celebrity status to your identity. Your book builds customer loyalty and long-term success to your business. That’s power! I don’t care if your business is a jewelry store, a messengerial service, a bank, a school, a doctor’s or dentist’s clinic, a law firm, or a restaurant. Your authored book, if you implement this system in the exact way we teach you, will bring your business to the next level. If you think you’re not a good writer, you can still have your own authored book. HINT: I can teach you how to “Speak” your book into a recorder. You can speak your voice, stories, and thoughts into a recorder. Before you do that, I’ll teach you how to create a central message and a chapter sequence. And I’ll also teach you what to do AFTER you’re able to record your book with your own voice. It’s like magic. At the end of this process, you’ll have your own authored book! But how about those who WANT to write their own book? When I was growing up as a kid, I had a weakness. According to my school teachers, I wasn’t very intelligent. Why? Because I didn’t like reading books. I wasn’t a fan of books. I’d rather watch TV and play with my toys. But at the age of 12, something happened: I had a spiritual conversion. I came to know Jesus in a personal way. That was when my mother asked me to read a small book entitled, Prison to Praise. And for the first time, I actually opened the book not from school! First of all, the book was a tiny, thin book. Second, Mom said it was filled with exciting “miracle” stories. That little book was a simple, true-to-life story of a worldly man who lived far away from God, who went to prison, came to know Jesus, and begun to live a life of praise. The book was so simple, so easy to understand, I was hooked. When I finished it, I wanted to read more books about God. I remember reading Perfect Joy of St. Francis after that. And I never stopped reading ever since. I realized that I wasn’t allergic to reading books. I was just allergic to reading difficult books. Like my textbooks in school. Difficult books that had long words, long sentences, and long paragraphs. I felt the authors were so intelligent, I couldn’t understand what they’re trying to say. I never leave the house without a book in my hand—for those beautiful moments where I have to wait. Gifts of God, I call them. When I’m waiting in line, or waiting for the dentist, or waiting for traffic (I have a driver). I believe that if you write a lot and read a lot, you’ll learn how to write naturally. My first ever book was the kind of book that I would like to read. It was very thin. And I wrote using short words, short sentences, and short paragraphs. And I told very simple stories. Today, 29 books later, I still write in the same way. You know why I’m a successful author today? Because I wasn’t too intelligent. Imagine if I was intelligent. Imagine if I liked reading difficult, scholarly books. Then I’d probably write like that too. Would I be able to reach the audience I’m reach now? Would I be able to write 29 bestselling books? I thank God I’m not too intelligent. Because my weakness has become my strength. There are many kinds of writing. There’s writing for business letters. And scientific journals. And news reporting. Today, I’m not talking about those types of writing. Today, I’d like to talk about simple writing that you can use for writing a blog, a hobby newsletter, a sales letter, or even a book for mass consumption. Don’t try to write like a scholar. Unless, of course, you’re writing to scholars. But if you want to reach a lot of readers, you’ve got to write simply. You’ve got to write like you’re talking to them. Imagine the housewife, carrying a whining baby in the messy kitchen of a third floor apartment, reading your book or letter. How will you catch her attention? When I write, I have one very important rule: Move them. Imagine you’re the stranger reading your work. Read the first sentence of your writing. Is it inviting? Does it attract curiosity? Does it spur you to read on? Go ahead and continue reading. Or do you feel nothing? Chances are, it won't move them too. I’ll teach you how to make your writing powerful. I don’t think anyone else can teach you what we will teach you at this Intensive Bootcamp in the way we’ll present it to you. You’ll learn how to promote yourself AND your book online and offline, not sporadically or whimsically, but through a predictable, automatic system. You’ll know how to find yourself a publisher, or find people to help you self-publish your book—such as finding an editor, graphics designers, layout artists; You’ll also discover which of these two paths is best for you. Should be self-publishing, you’ll learn the practical legalities of how to get an ISBN number and copyright for your book. You’ll get learn how to sell your book in bookstores and other distribution outlets across the country. You’ll find the simple “bestselling” strategies of how to sell eBooks in both Amazon and Apple, as well as in your ownbook’s website. You’ll learn how to find a Money Machine/s that you can tie up with your book. You’ll learn how to write your book in such a way that you are promoting your Money Machine or business at many parts of your book. There’s a right way and a wrong way of writing; You’ll learn how to write in the right way every time! If your book needs research and interviews, you’ll learn how to do both successfully that will save you a LOT of time to launch your book sooner instead of later. You’ll discover how to tell a Great Story; You’ll learn how to make your story timeless, specific, and emotional. You’ll learn how to generate more great story ideas for your book, so that your book becomes riveting, understandable, and memorable. You’ll find out how to structure a great story and use metaphors. You’ll get to know the simple tools you need for writing your book, so you can cut your writing time to half. There’s a LOT MORE stuff that you’ll learn in the Intensive Bootcamp. Question: How Much Is a Bestselling Book, a Media Machine, and a Money Machine Worth to You? The price of the Bootcamp is P79,975 only—which INCLUDES your 4-day/3-night Tagaytay Hotel on twin sharing plus ALL Meals/Snacks during those entire 4 days. PLUS the materials you’ll need. However, you can avail of the Early Bird price of P69,975 only (Savings of P10,000.00) if you register before March 30. 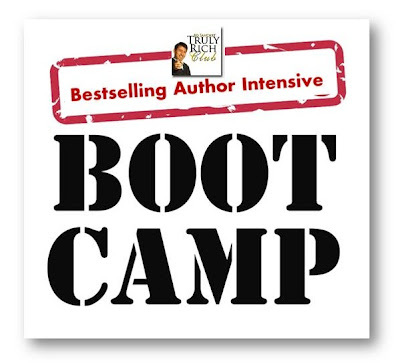 This is a HUGE steal for what you’ll be getting from the Bestselling Author Bootcamp. I will take all the risk. I don’t want you to pay anything if you won’t be totally satisfied. For any reason whatsoever, IF you didn’t like the Bootcamp (let’s say you didn’t like the shirt I wore), then just tell me—and I’ll return all your money, no questions asked, no hard feelings. And to apologize for “wasting your time”, I’ll add P5000 to cover for your transportation to Tagaytay. My friends call this “Insane” but I insisted on this because that’s just who I am. Why am I giving you this “Insane Five Grand” Guarantee? Because I believe you’ll be GREATLY BLESSED by our Bestselling Authors Intensive Bootcamp. Last December, my 13-year-old son wrote a fantasy book. Though I have my own army of excellent editors in my team, I wanted him to experience looking and hiring his own fiction editor—without Dad’s help. And I wanted him to look for a foreign editor. (I’m training him to be more independent.) So he went online and found a fiction book editor—a Korean living in the US. 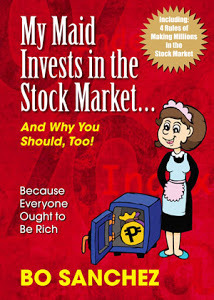 My son hired her for P10,000 to simply “comment” on his book. Because as a Bootcamp attendee, you’ll receive a FREE “Editor’s Critique Voucher” good for 90 Days. You see, we’ll challenge you finish writing your book in 90 days after the Bootcamp (Don’t worry, we’ll give you simple strategies on how to make it happen. And NOTE: You’ll actually start making your book IN the Bootcamp). And within those 90 days, you can avail of your “Editor’s Critique Voucher”—valued at P10,000—but given to you for FREE—to evaluate your book and give you suggestions on how to make it better. Before you run out of our Extremely Discounted Early Bird Tickets, sign up now. Share your message to the world, increase your income stream, and join the Bestselling Authors Intensive Bootcamp on May 15 to 18. Yes Bo, I Want To Change My Life And Create My Book; I’m Joining The Bestselling Authors Intensive Bootcamp!